Please contact [email protected] for your interest in this wine. A very fine vintage for Tignanello. Exuberant and scented, with summer fruits, cassis and blackberry vying for attention, as well as dark chocolate, coffee and liquorice. Plenty of aging potential here, but hard to resist even now. 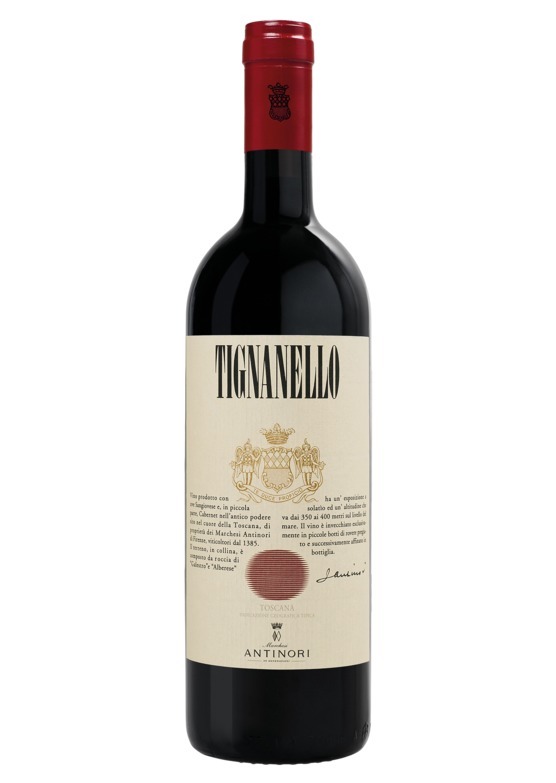 Some have called this the best Tignanello for decades, and it is easy to taste why, with its innumerable nuances of flavour - cherry, spice, leather, sweet tobacco, polish and woodsmoke - we could go on...! Antinori is arguably the biggest name in Italian wine – it traces its history back to 1385, and is one of the oldest familyowned companies in the world. The company pioneered the ‘SuperTuscan’ movement in the 1970s, with its launch of the now legendary Tignanello. The company has expanded dramatically over recent decades, and as well as owning estates in Piedmont, Umbria and Puglia, it has invested further afield, with vineyard interests in Hungary, Chile and California’s Napa Valley. Antinori’s heartland though, is of course Tuscany, and as well as its flagship names, it produces a number of exceptional sangiovese from the Chianti Classico and Bolgheri regions.